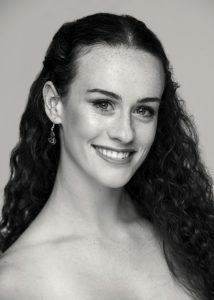 Gabrielle Collins is from West Hartford, Connecticut and began her training at the Hartt School Dance Department. In 2014, Gabrielle was a finalist at the Youth America Grand Prix (New York) and won the gold medal at the Connecticut Classic for both the senior female and pas de deux categories. From 2014-2017, she danced with the Atlanta Ballet II and performed leading roles including Marya in Atlanta Ballet’s Nutcracker. Gabrielle is an alumna of the prestigious Ballet Program at Jacob’s Pillow. In Tulsa Ballet’s 2017-2018 season, she appeared in a demi-soloist role in Helen Pickett’s Meðal. She joined TBII in 2017.